Irina Alam (advised by Prof. Puneet Gupta in the NanoCAD lab) and Clayton Schoeny (advised by Prof. Lara Dolecek in the LORIS Lab), along with Profs. 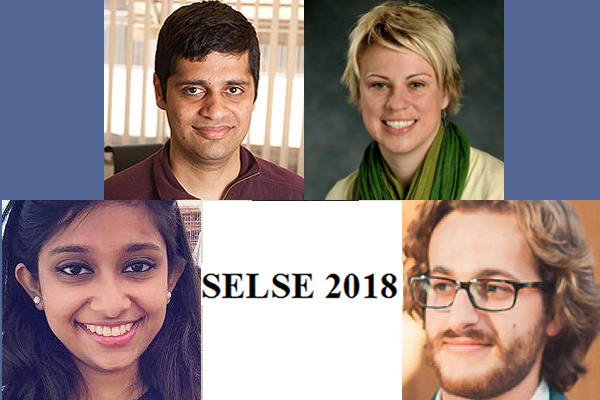 Gupta and Dolecek, won the best paper award for their paper “Parity++: Lightweight Error Correction for Last Level Caches” at the 2018 SELSE workshop and will appear by invitation at the forthcoming DSN, the leading international conference on Dependable Systems and Networks. This latest work is part of highly innovative research that the two groups have been collaborating on, namely, Software-Defined ECC, which is a radical departure from conventional methods of memory error correction. Previous recognitions for this innovative collaborative research include Best of SELSE best paper award in 2016, ES Week best paper award in 2017 and the Qualcomm Innovation Fellowship in 2016-2017.This work, in particular, develops a new class of unequal message protection codes whose construction is informed by architectural and application context. The result is “extra” protection for “special” messages and it delivers single error correction to 80+% of errors while just adding 1 extra bit to conventional 1-bit parity.